Location: Northeast of the town of Brooks in southeast Alberta, off Trans-Canada Hwy 1. Dinosaur Provincial Park is 48km (30 miles) northeast of Brooks, while the Royal Tyrrell Museum of Palaeontology is in Drumheller. 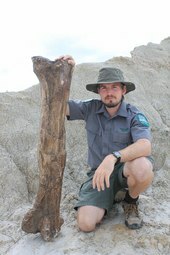 Both share a reputation for dinosaur fossils and magnificent badlands and many travelers assume incorrectly that the two sites are one and the same. So if your summer travel plans include these very complementary destinations, then keep in mind that they are 170 km (105 miles) apart and it will take you three or four days to really experience them both. Dinosaur Provincial Park boundaries protect the largest section of badlands in Canada and the richest concentration of Cretaceous period dinosaur fossils in the world. Badlands and fossils are the major reasons why the Park was awarded UNESCO’s World Heritage Site designation in 1979. All the programs in the Park’s Natural Preserve area allow participants to see authentic fossil material in situ (where it was found). The Scenic Loop Road has fossil exhibits and three of the self-guided trails wander through the badlands so keen eyes will spot fossils. The easiest place to find fossils in the Park is in the displays in the Visitor Centre galleries. Fossils are a protected resource in Canada so it is illegal to disturb them without a permit, but if you are old enough (14+) and want to do more than just look, then you should join the Guided Excavation (Bonebed 30) Program. Single and multi-day excursions teach participants how to identify fossil material, excavate it and prepare it for transport to the Royal Tyrrell Museum at an active research site. There is no way you will be able to take in all that Dinosaur Provincial Park offers in just one day. 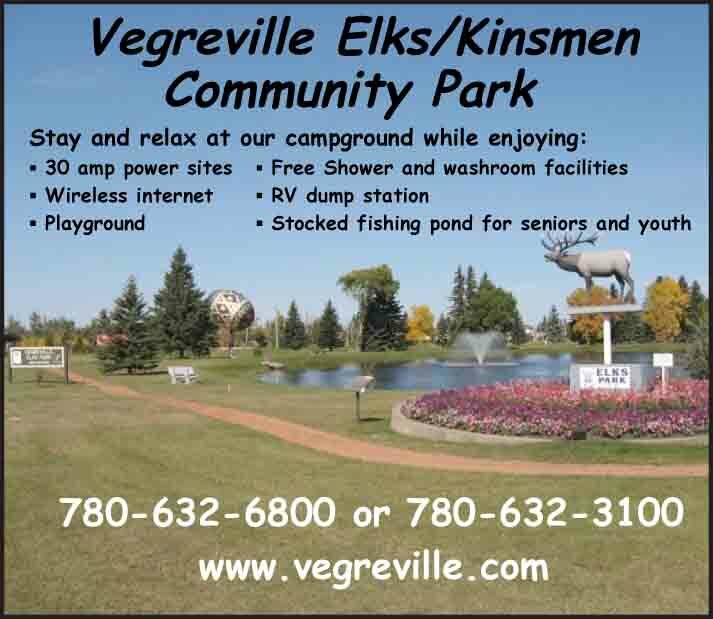 Brooks offers various hotel and motel options or book a couple of nights at the campground, slide down to the Cretaceous Café for dinner and an ice cream and use the free Wifi to book your programs for the next day. The staff is friendly and knowledgeable, the views are breathtaking and the night skies are unbelievable. The Royal Tyrrell Museum of Palaeontology is an obvious next stop for a dinosaur enthusiast. Their world class exhibits and presentations tell the story of life on Earth and provide context for the chapter that is Dinosaur Provincial Park. Take the route through Duchess and then north along Highway 36. After you cross the Red Deer River, follow highway 570 west and eventually you’ll be cruising along the valley bottom until you reach Drumheller. It’s only 12 minutes longer and is by far a more scenic route than via the #1 Highway. Program reservations are highly recommended. 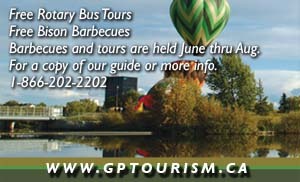 For program information call 403-378-4344.